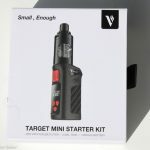 Mini, the Target Mini box by Vaporesso is very tiny. Its format makes it the ideal companion for a day off but isn't it a gimmick object? 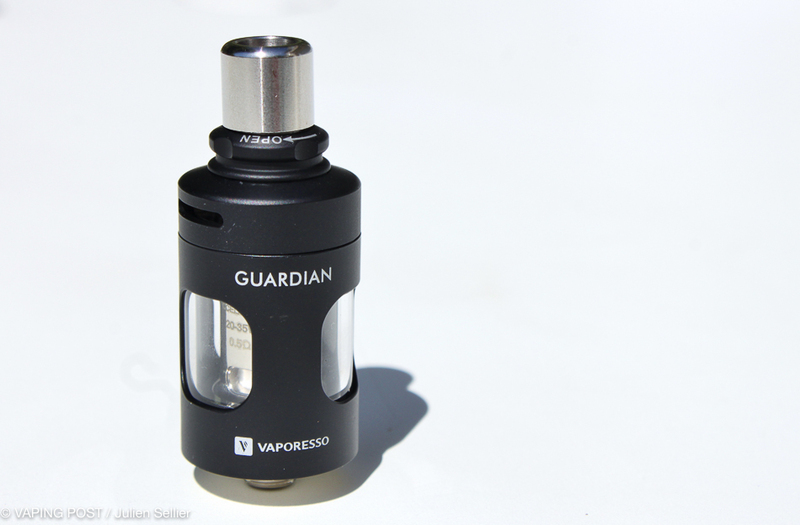 Tested by the Vaping Post with the Guardian, brand new clearomizer included in the Target Mini Starter Kit. 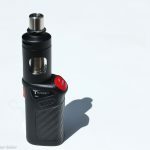 With the Target Mini, Vaporesso declined its Target box, designed like a 80’s joystick, in XS version. 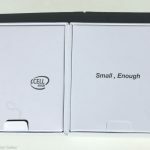 Unpacking the kit, it is its small size and design that attracts sympathy. 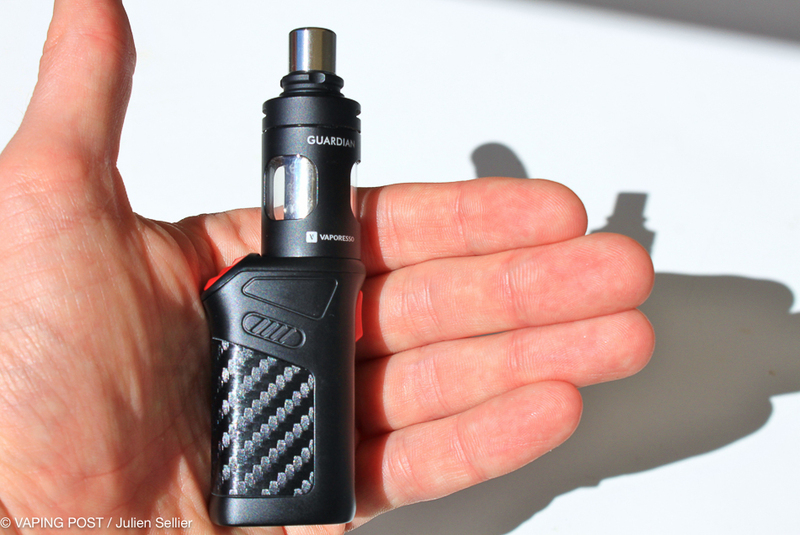 With its 58 mm height, 24 mm width and 36.5 mm depth, its compactness is remarkable. 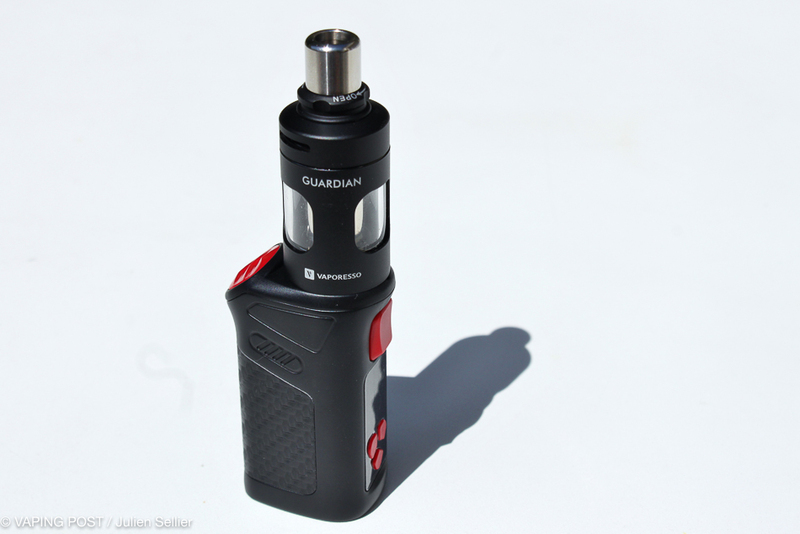 In this kit, the Target Mini is combined with the Guardian Tank, the new clearomizer by Vaporesso. 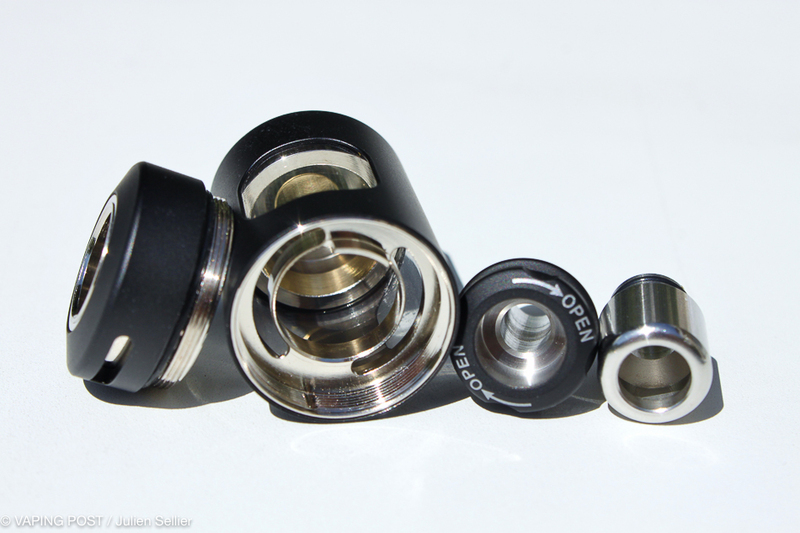 Are also included two drip-tips, a short and open one for DL inhalation and a tighter one for MTL vaping. 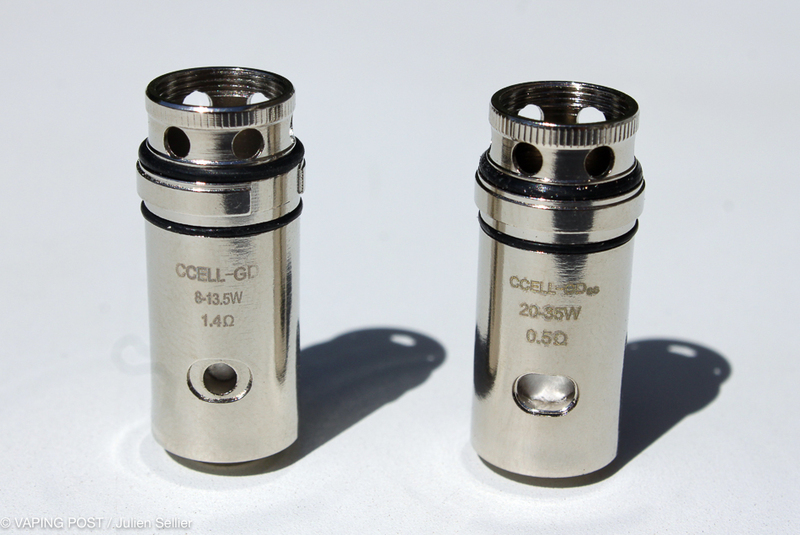 Two ceramic Ccell-GD coil heads are part of the package. 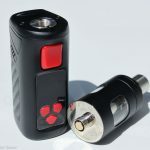 One is a subohm SS316L in 0.5 Ω to be used between 20 and 35 W for DL inhalation. 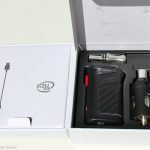 The other one in a Kanthal A1 in 1.4 Ω to be used by beginners between 8 and 13 W for MTL. In addition to the traditional user manual one also finds a high quality USB cable. 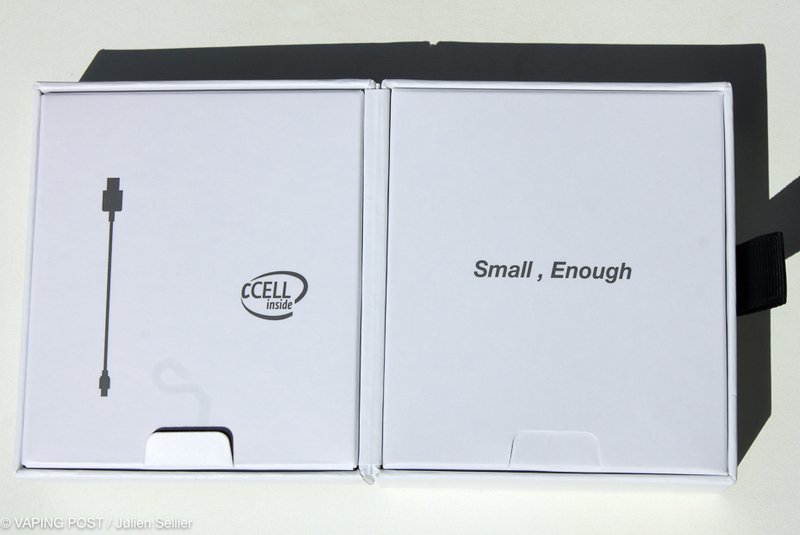 The Target Mini is equipped with a battery of 1,400 mAh, which is not so bad given the compactness of the box. 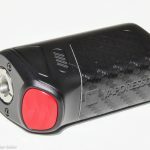 The autonomy is rather good with the 1.4 Ω Kanthal coil resistance but it is taken down to 3 hours when choosing the subohm option and vaping quite intensely. 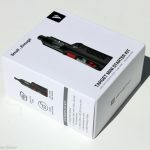 A noticeable imperfection is the location of the Mini USB plug at the bottom of the box that requires laying the box on its side when recharging it, despite a very useful passthrough mode that allows vaping while charging. 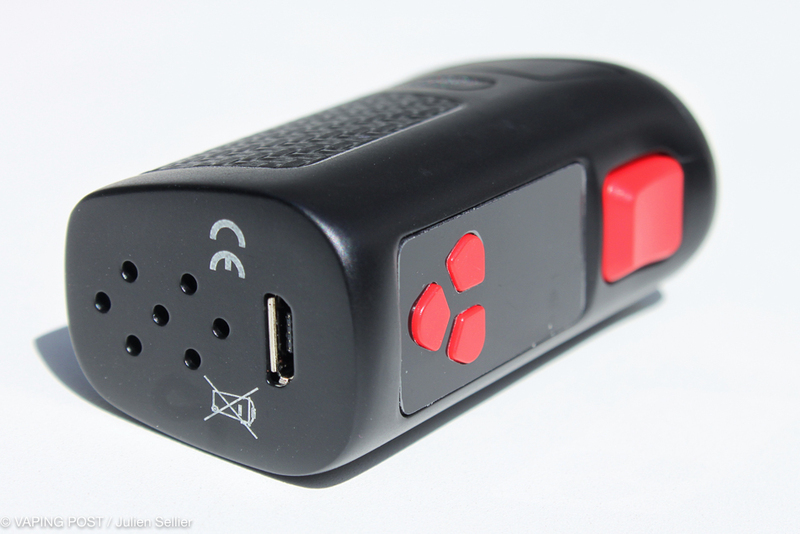 The finish is good but sometimes light with slightly rattling buttons. 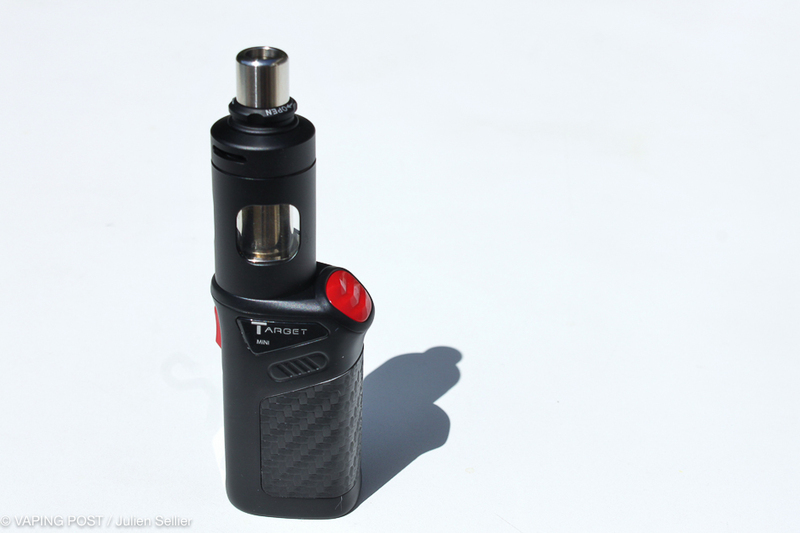 The Target Tank chipset offers many possibilities and ease for controlling vaping modes: Power, Temperature control (Ni, Ti, SS316L and TCR). A 2-second push on the “Mode” button switches from one mode to another. The + and – controls adjust the temperature (by steps of 5°C) or the power. 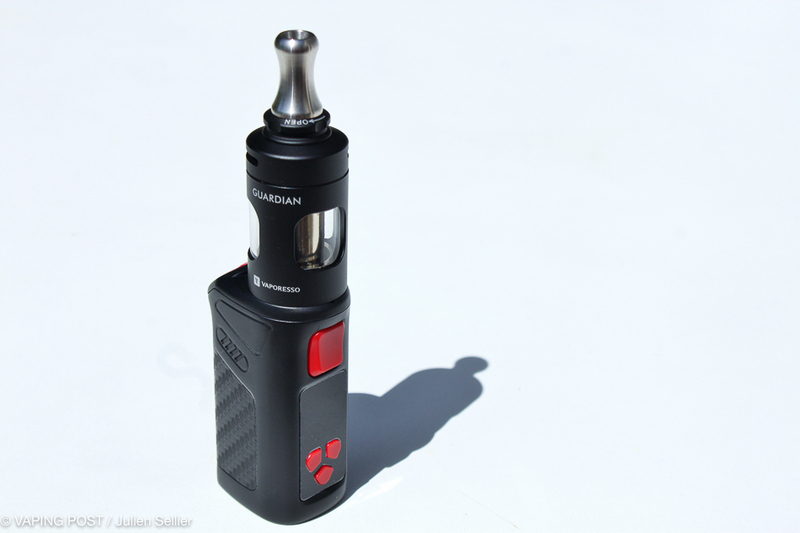 In this beginner kit, the Target Mini Mod is caped with a brand new clearomizer, the TPD compliant Guardian Tank of 2 ml. 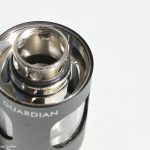 Offering a top-filling system, it requires unscrewing the drip-tip block (inverse thread), then the cap to get access to the securized filling system. The inconvenient here is to unscrew the two parts before having access to the tank, which makes the theoretically easier to-filling as complicated as other types. But this is the price to pay for something compliant with EU safety rules. Could be better on this point. The width of the tank openings is not huge but enough. 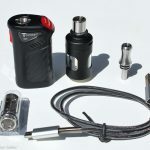 Changing the resistance coils is achieved by simply pulling them out, you can also use the drip-tip block when screwed on the coil head to ease. 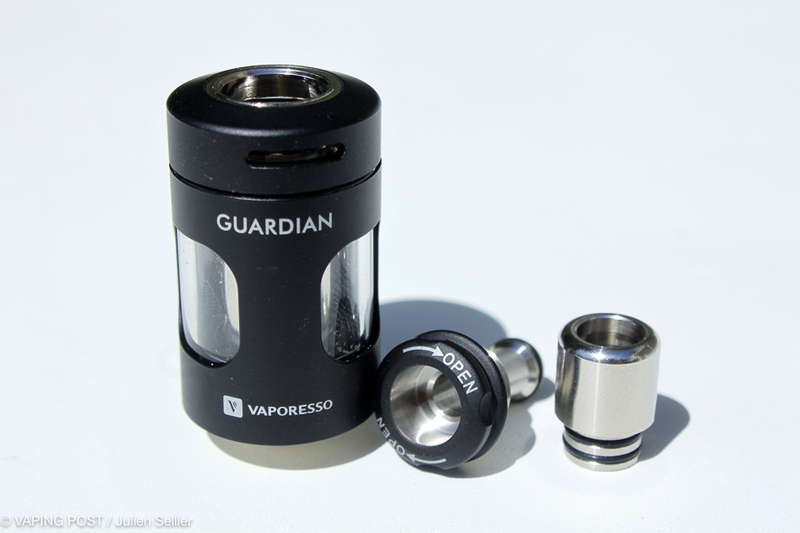 The airflow is located on the top cap to avoid leakage. It is a nicely versatile system that allows a wide range of draughts from quasi nul when set to the small ring marker to wide open. Special note for the drip-tip dedicated to MTL vaping, whose shape reminds of the Nautilus Mini, a pleasure. 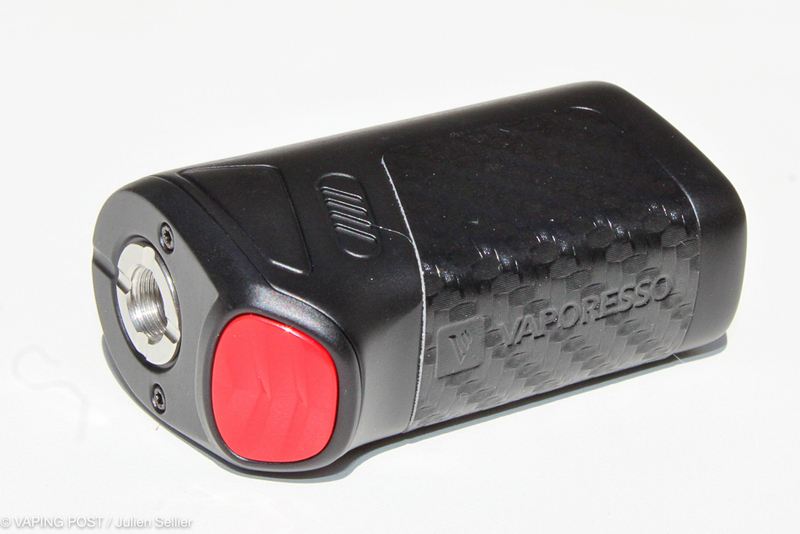 It can be used as well with the 0.5 Ω coil and the airflow holes wide open. It offers a great rendering of flavors. 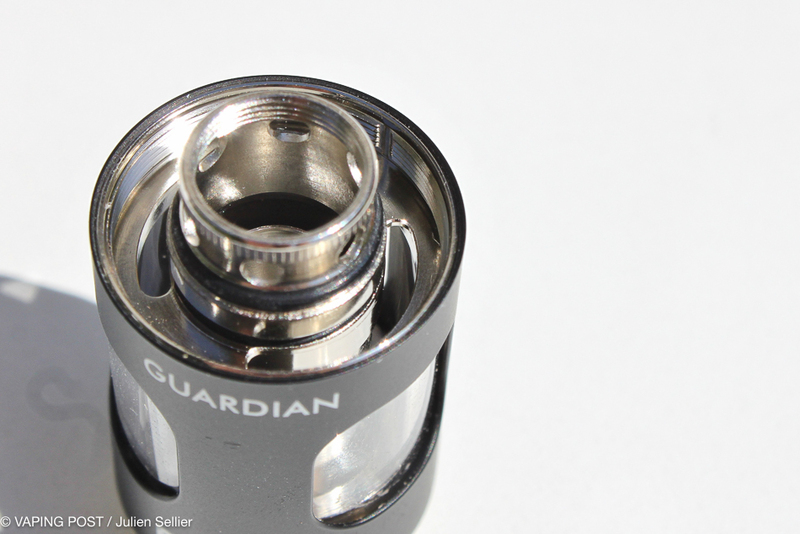 Unfortunately, the resistance coils Ccell of the Target Tank are not compatible with the Guardian Tank. 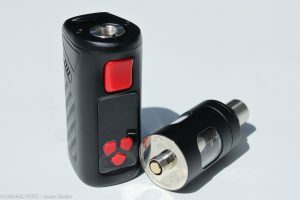 Et only the SS316L in 0.5 Ω can be used in CT. 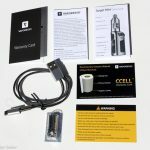 The Ccell GD in 1.4 Ω uses a Kanthal A1 wire that is not specified anywhere. 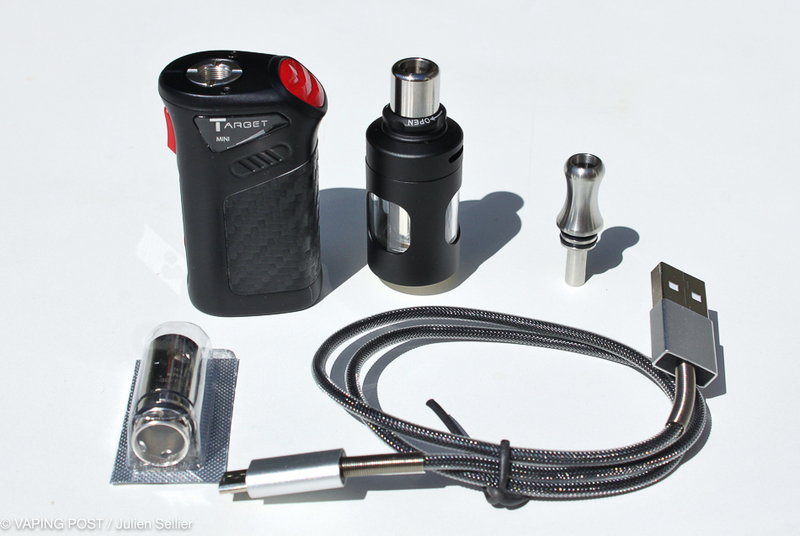 The major asset of this kit is its wide vaping range. 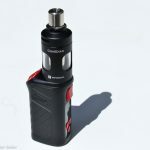 Associating the Ccell GD in 1.4 Ω, the straight drip-tip and with an airflow setting on the two rings, the vape is tight and even very tight on the little airflow whole. 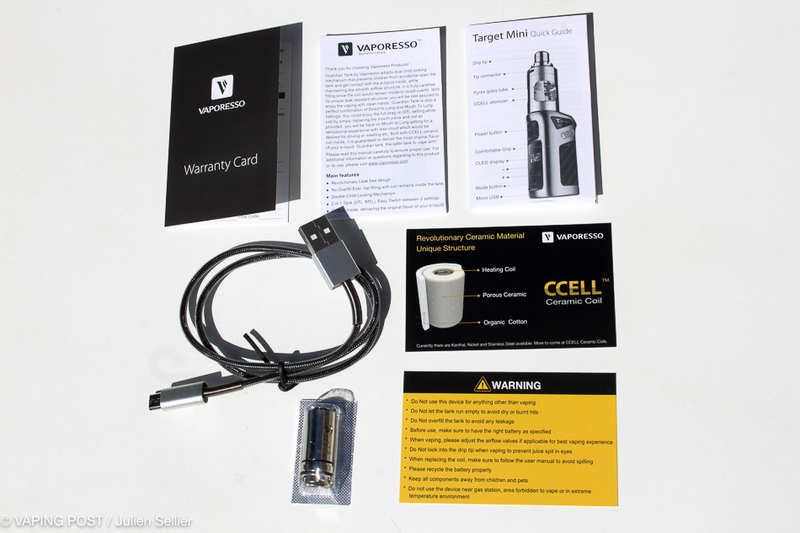 A vape that saves the juice that can last for a long time and that will be delighted by the beginners. 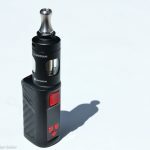 In revenge, with the SS316L coil in 0.5 Ω, the wide drip-tip and the airflow wholes wide open, the vape becomes aerial with dense clouds. 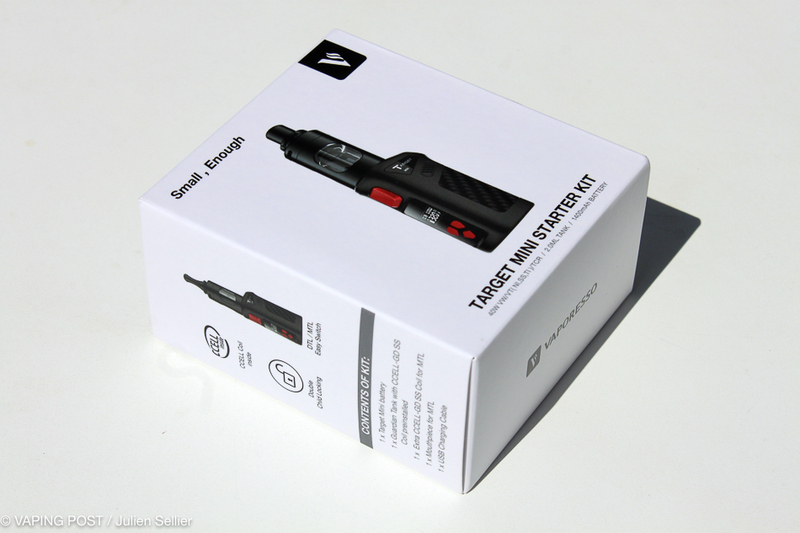 But in this case, the Target Mini heats in reasonable limits. Rendering of flavors are very good with the ceramic Ccell GD coils. 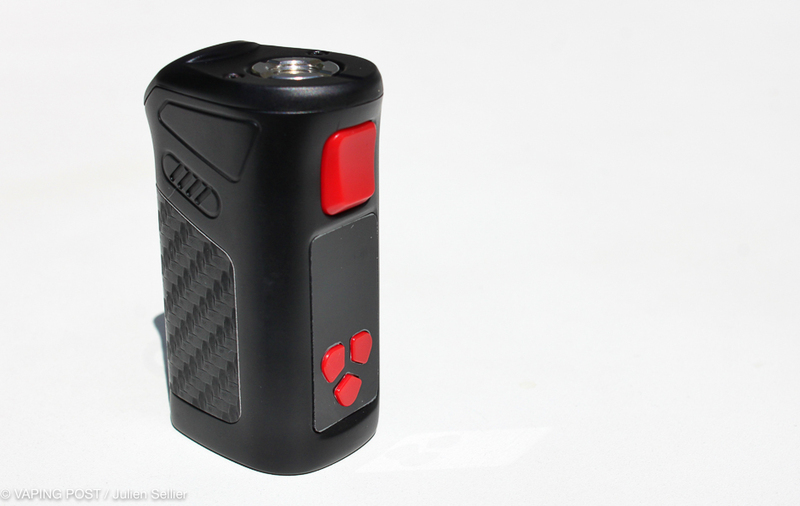 The SS316L, for example, used in temperature control mode is very performant. It is, in my opinion, the best combination to date. Rating of 4.0/5. 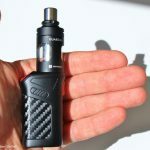 The Target Mini Starter Kit proposed by Vaporesso is surprising by its compactness but also by its excellent accessibility. 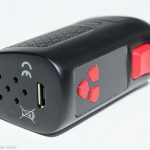 It is perfectible, notably for the location of the USB plug or its top-filling system that makes the refill complicated. But the essential, the pleasure, is there. 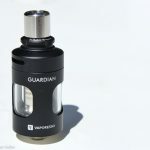 The Guardian Tank, despite its 2 ml of capacity, is of very good quality and offers all the versatility that a beginner is looking for to discover the other spheres of vaping. 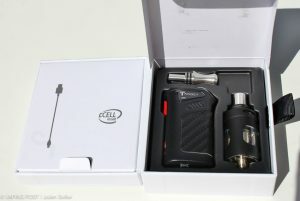 Associated to the Ccell DG, it is as efficient in MTL vaping than in DL inhalation. 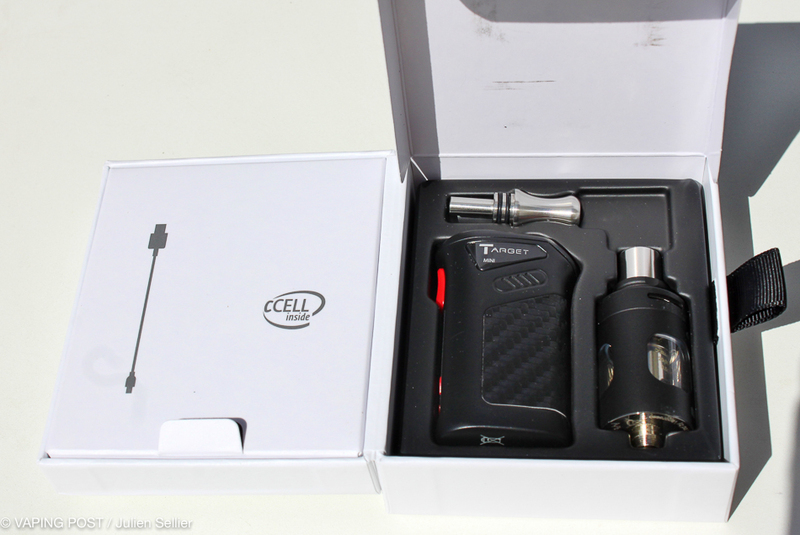 The chipset is optimal, given the size of the mod and proposes the temp control in different coil configurations. 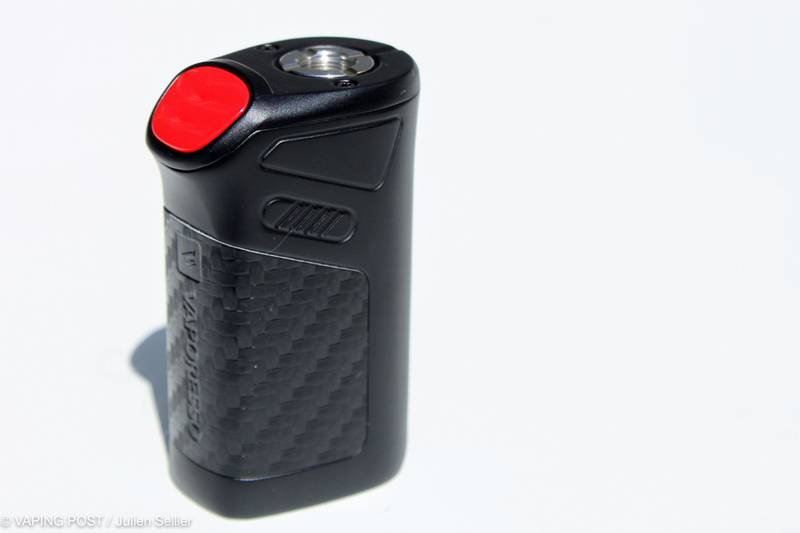 The manufacturing quality appears to be good and for a nomad use, the kit is perfect. 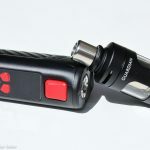 Only the autonomy of the battery is disappointing when turned into subohm use. 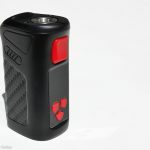 Its life span is not well defined because of the integrated, non exchangeable battery. 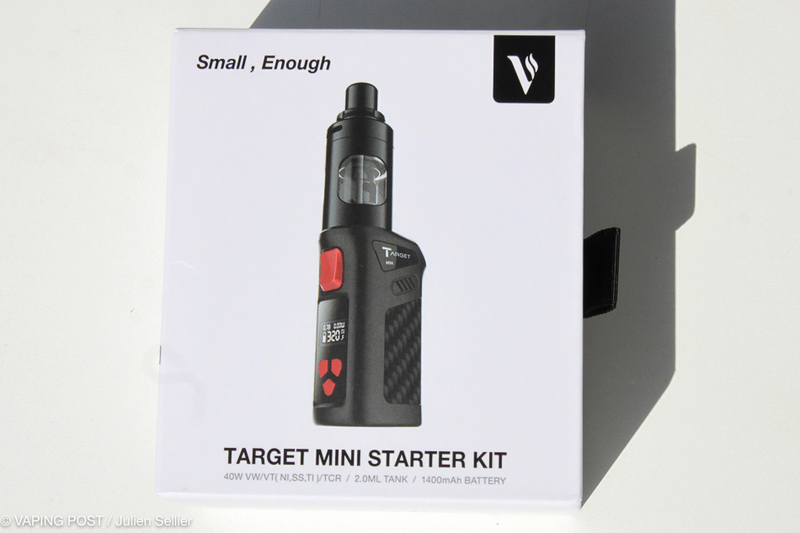 The Target Mini Starter Kit proposed by Vaporesso is surprising by its compactness but also by its excellent accessibility. 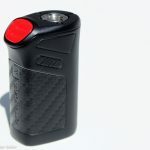 It is perfectible, notably for the location of the USB plug or its top-filling system that makes the refill complicated. But the essential, the pleasure, is there. 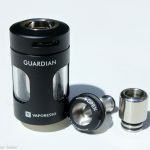 The Guardian Tank, despite its 2 ml of capacity, is of very good quality and offers all the versatility that a beginner is looking for to discover the other spheres of vaping. 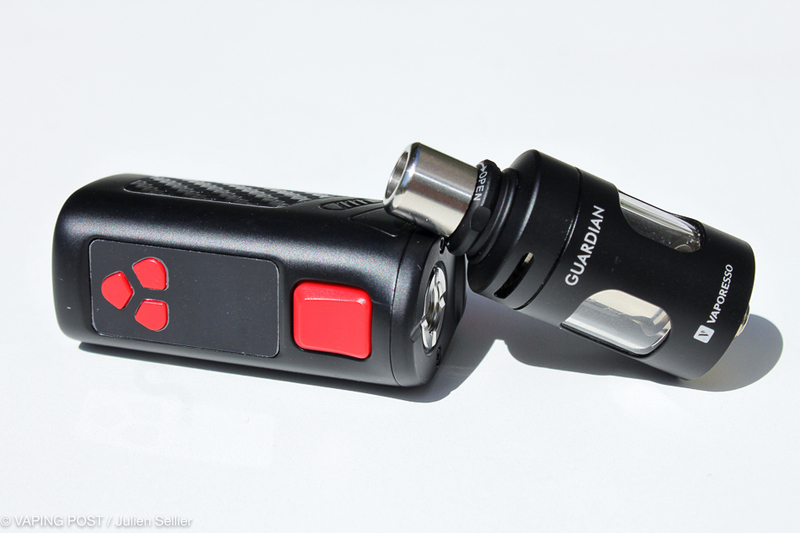 Only the autonomy of the battery is disappointing when turned into subohm use. 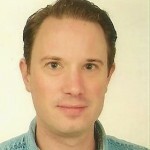 Its life span is not well defined because of the integrated, non exchangeable, battery.